The ECIE Branch includes the Maryland Infants and Toddlers Program and Preschool Special Education Services for children with disabilities age birth through five and their families. On behalf of the Division of Special Education/Early Intervention Services, we invite parents, service providers, administrators, advocates and other stakeholders to join us in sharing resources and information to support young children with disabilities and their families. This resource is developed and maintained through a partnership between the Maryland State Department of Education, Division of Special Education/Early Intervention Services and the Johns Hopkins University Center for Technology in Education, and supports the work of the Maryland Infants and Toddlers Program/Preschool Services Branch. Through the Gateway you are able to access sections with resources dedicated to improving services for families with young children with disabilities. Maryland's comprehensive online resource for disability-related information and supports. Search for resources, information, and ideas on issues ranging from early intervention and education to employment and aging services. The Maryland State Department of Education administers the Autism Waiver, targeted to children ages 1 through the end of the semester that the child turns 21. As a part of determining eligibility, a child must be diagnosed with Autism Spectrum Disorder, meet an Intermediate Care Facility for the Mental Retarded Level of Care, not be enrolled in any other waiver, and have an Individualized Educational Program (IEP) or Individualized Family Service Plan (IFSP) and receive at least 15 hours of special education and related services per week. The services provided under the Autism Waiver are respite care, family training, environmental accessibility adaptations, supported employment, day habilitation, residential habilitation, and targeted case management. Community Pathways continues to cover services such as residential, community supported living arrangement (CSLA), and day and supported employment services. Additionally, it covers Family and Individuals Support Services for eligible individuals. New Directions is for people living in their own homes or with their families. It will be available to people in all parts of the State. Everyone in New Directions will have an Individual Budget. With assistance from a Fiscal Management Service (FMS) and a person called a Support Broker, the individual will manage their budget, hire and supervise their own staff and make decisions about how their services are provided. The FMS will pay bills, take care of tax paperwork, and provide monthly budget statements. The Support Broker will be someone the person trusts to help them navigate the system, help them with staff and act as an advocate. The Maryland Medicaid Home and Community-Based Service (HCBS) Waiver is a way for the Developmental Disabilities Administration (DDA) to receive matching federal dollars for funds spent by the DDA on community services provided to Medicaid-eligible individuals without that person having to enter an institution. The waiver for individuals with developmental disabilities supports the development of home and community-based alternatives to placing individuals in institutions operated by the DDA or in out-of-state institutions. Additionally, it makes home and community-based services available to individuals who would otherwise qualify for Medicaid only if they were in an institutional setting. The Maryland Department of Health and Mental Hygiene administers the Maryland Community Choice or Living at Home Waiver that provides services for those eligible individuals that meet a nursing home level of care and are between the ages of 21 and 65 years of age. This waiver is designed to provide consumer-directed personal assistance services for adults with physical disabilities in their own home. Waiver services include attendant care, administrative case management, family and/or consumer training, skilled nursing supervision, personal emergency response systems, environmental accessibility adaptations, and occupational and speech/language therapies. Persons receiving Medicaid and living for at least 30 days in a long term care facility are automatically eligible for the Living at Home Waiver. If the person receives both Medicaid and Medicare the wait is at least 60 days before being able to apply for waiver services. This waiver targets medically fragile individuals including technology dependent individuals who, before the age of 22, would otherwise be hospitalized and are certified as needing hospital or nursing home level of care. Through the waiver, services are provided to enable medically fragile children to live and be cared for at home rather than in a hospital. Model Waiver services include case management, private duty nursing, shift home health aide assistance, physician participation in the Plan of Care development and durable medical equipment and supplies. Individuals that would like to apply for Model Waiver Services must contact the Coordinating Center for Home and Community Care, Inc., a case management organization. The Division of Human Genetics provides comprehensive inpatient, outpatient and laboratory genetic services to patients of all ages, including a network of state-wide outreach clinics. 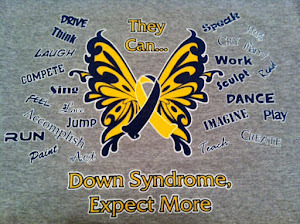 Southern Maryland who share a vision for persons with Down syndrome. The Arc of Maryland is changing minds and changing lives for individuals and families living with developmental disability. We welcome you to read our stories, learn about our programs, find a chapter near you and get involved in making Maryland a better place to live for all.